I’m heading out this week to do two speaking events, so if you’re in the Philly area, you should join! I love any and all opportunity to talk about the activism I’m involved in, and I’m beyond pleased that doula work is gaining enough prominence that I get more and more requests to come speak about it. On Wednesday I’ll be speaking at the University of Pennsylvania, hosted by groups primarily in the Nursing School. Major thanks to Ryan Pryor who organized the event! I’ll be talking about doulas, reproductive justice and community-based interventions to health care. I’m jazzed to be speaking to future health care professionals–a group that has the power to really change our health care system. 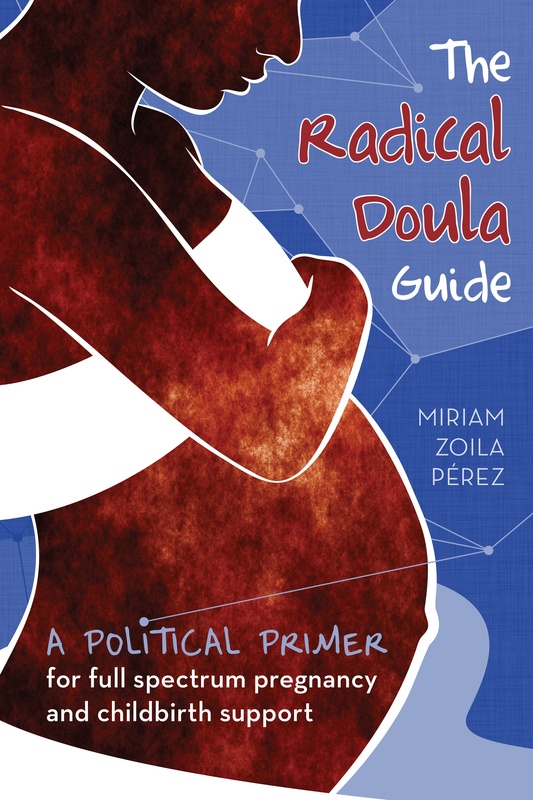 Miriam Zoila Perez will talk about her work as a full-spectrum doula, writer and activist. There is a growing movement of doulas working to improve pregnant people’s health care experiences through one-on-one emotional, physical and informational suport. How are doulas changing health care experiences? How can providers collaborate with doulas? Miriam will discuss this important and growing movement, and it’s many connections to health care activist work. Event co-hosted by Nurses PUSH, Nursing Students for Choice, Med Students for Choice, LGBTPM+, GAPSA, Nursing Student Services and Penn LGBT Center. On Thursday I’ll be speaking at the Queer and Trans Conference at Swarthmore College, my alma mater! I’ll be hosting a workshop about Queering Reproductive Justice. I’ll have Radical Doula Guides with me for sale at both events. Hope to see you there Philly!